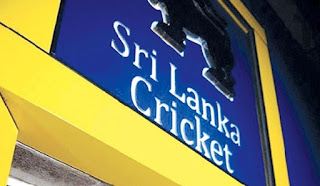 CEO of Sri Lanka Cricket - Ashley de Silva has reportedly submitted false documents of Chrishantha Kapuwatta to election committee, reports cricketage.in. According to the website, the documents submitted by the SLC CEO state that Mr. Kapuwaththa has played U-23 cricket during the eighties. However, sources say that he had never played cricket at any level and his club was not even part of the tournament mentioned. Mr. Kapuwaththa is a close aide of former SLC president - Thilanga Sumathipala and the SLC CEO is backing Kapuwaththa’s nomination for the SLC election, which will be held on Feb. 21. This is not the first time Mr. de Silva is facing allegations of tabling false documents. A few months back, he produced false documents in the court in a case, where he has been charged with harassment allegations. It was said that those documents were prepared by SLC HR manager Dananjaya Wijesinghe’s wife.